Despite the strong preference for online payment, utility customers have not been persuaded or incented to discontinue their paper statements. Why? Addresses the primary categories of customer concern. Effectively speak to customer concerns via a strategic communications program. 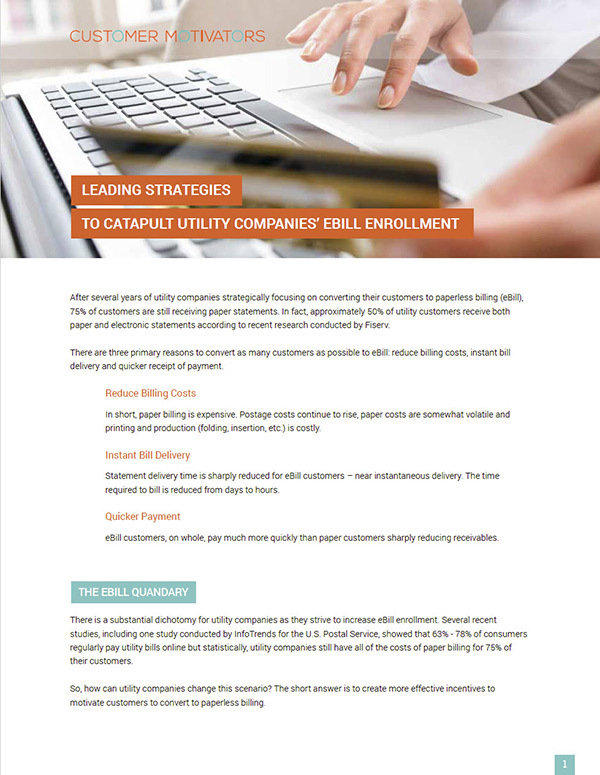 Request a copy of this white paper today and learn how to reduce the gap between electronic and paper billing, and increase paperless billing enrollment. Informative white paper shows how to reduce the gap between electronic and paper billing.